Push-notifications have the potential to reinforce positive behaviours when applied in an intelligent manner. This paper explores a method of improving the delivery process of push-notifications by extracting scrutable persuasive features and refining prediction of notification outcomes. Additionally, a method is proposed for generating recommended notifications, based on the extracted persuasive features, to maximise potential engagement for scenarios such as behavioural interventions. 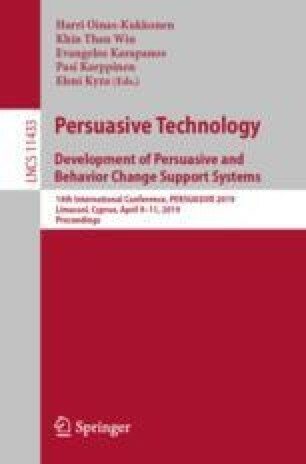 The results illustrate that the persuasive features extracted contributed toward improved push-notification action prediction and that the personalised persuasive notifications recommended vastly increased the Click Through Rate (CTR) of notifications. This research is supported by the ADAPT Centre for Digital Content Technology under the SFI Research Centre’s Program (Grant 13/RC/2106) and is co-funded under the European Regional Development Fund.